Free Contemporary Romance & Romantic Suspense! Reviewer – The Perfect Read for a day of relaxation at the beach! Free Adult Contemporary Romance – The Rest of the Series is Free on Kindle Unlimited! Superb Free Adult Contemporary Romance! 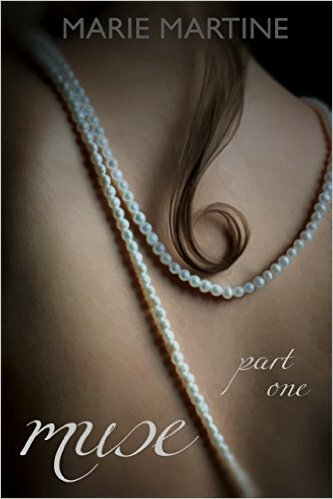 *Muse – Part One by Marie Martine. Price: Free. Genre: Adult Romance of the Day, Sponsor, Contemporary Romance, New Adult & College. Rated: 5 stars on 1 Reviews. 72 pages. ASIN: B01221PGYO. Catherine Schwartz needs a job, after struggling to complete her Library Science degree while spending months caring for her ailing mother. Alaric is an author who needs a muse to help finish his latest book. Catherine knows that this isn’t the job that her mother would like her to be doing, but the money is too good to pass up. Will she be his source of inspiration? Please Note: Cliffhanger ending. The rest of the series are free on Kindle Unlimited. 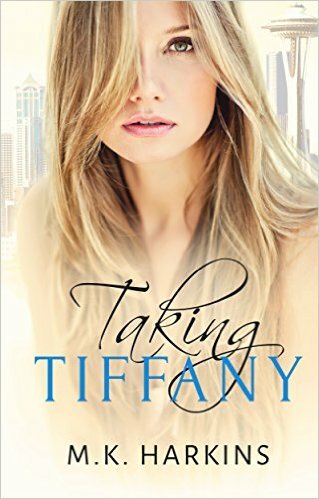 *Taking Tiffany by MK Harkins. Price: Free. Genre: Clean Romance, Sponsor, Inspirational Romance, Clean & Wholesome, Contemporary Romance, Romantic Suspense. Rated: 4.7 stars on 24 Reviews. 309 pages. ASIN: B0161V9HBY. Reviewers love it: Stunning! This book will touch you on so many levels with its heart and humor! Just at the right moment, the author tickles your funny bone, and you can’t help but giggle in relief! The novel is classy and dignified, fresh and resilient! M.K. Harkins put a smile on my face again! Delightful! It gives you all kinds of feels and a guaranteed book hangover! 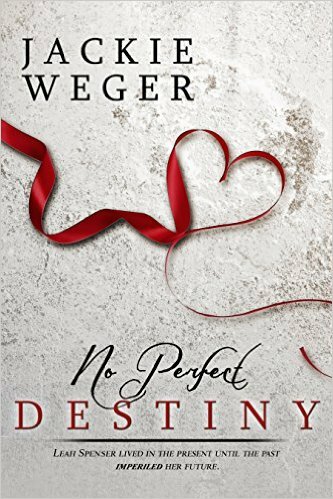 **No Perfect Destiny by Jackie Weger. Price: Free. Genre: Contemporary Romance, Sponsor, Romantic Suspense, Romantic Comedy. Rated: 4.5 stars on 52 Reviews. 223 pages. ASIN: B00QG4LBS4. Reviewers love it: A very sweet book! I absolutely loved it! I haven’t read realistic romance in years, and found this one to be the perfect read for a day of relaxation at the beaches. I thoroughly enjoyed the story! Terrific! It left me debating whether to sleep or look for her other books! I would highly recommend all her novels, I have read all five of them and loved them! *Muse – Part One by Marie Martine. Price: Free. Genre: Adult Romance, Sponsor, Contemporary Romance, New Adult & College. Rated: 5 stars on 1 Reviews. 72 pages. ASIN: B01221PGYO. Catherine Schwartz needs a job, after struggling to complete her Library Science degree while spending months caring for her ailing mother. Alaric is an author who needs a muse to help finish his latest book. Catherine knows that this isn’t the job that her mother would like her to be doing, but the money is too good to pass up. Will she be his source of inspiration? Please Note: Cliffhanger ending. The rest of the series are free on Kindle Unlimited. *The “I Love My…” Trilogy (Deal, Not Free) by Sabrina Lacey. Price: $0.99. Genre: Adult Romance Box Set Deal, Sponsor, Romantic Comedy, Contemporary Romance. Rated: 4.5 stars on 24 Reviews. 622 pages. ASIN: B00KDKCLFY. Reviewers love it: I absolutely loved these three stories! I laughed aloud in some parts and cried at others! Hilariously funny, yet heartwarming! I never wanted it to end! The stories are rich, heartfelt and vivid. Trust me, read it and you will love it! *Behind the Scenes: An Alpha Billionaire Romance Novel (Deal, Not Free) by Jessica Blake. Price: $0.99. Genre: Adult Romance Deal, Sponsor, Action & Adventure, Contemporary Romance, Romantic Comedy, Women’s Fiction. Rated: 4.4 stars on 6 Reviews. 269 pages. ASIN: B01DS2ROPK. Reviewers love it: This was an amazing story! This is a must-read! There is so much tension between the characters it is ridiculous! Very well written! The heroine was smart and strong, and stood up for herself. I loved it to shreds! I think you will love it too! *Fated by Kelli Collins. Price: Free. Genre: Contemporary Romance, Rock, Ghosts & Haunted Houses. Rated: 4.7 stars on 15 Reviews. 223 pages. ASIN: B017LLEZ9M. Lines We Forget by J.E. Warren. Price: Free. Genre: Contemporary Romance, New Adult & College. Rated: 4 stars on 6 Reviews. 359 pages. ASIN: B01C6B9VBY. ***Under the Sheets (Capitol Chronicles Book 1) by Shirley Hailstock. Price: Free. Genre: Adult Contemporary Romance, Sponsor, Suspense Thriller, Romantic Suspense, Contemporary Romance. Rated: 4.6 stars on 272 Reviews. 306 pages. ASIN: B008XYGBUS. Reviewers love it: A roller coaster ride! Robyn and Grant will pull all of your emotions and make you smile! Unforgettable! This book had me crying. It is a romance with a healthy dose of intrigue. This novel will make you think about love and life in a new way! A good, good read! ***Skipping Stones by J.B. McGee. Price: Free. Genre: Contemporary Romance, Military, New Adult & College, Inspirational. Rated: 4.8 stars on 115 Reviews. 306 pages. ASIN: B00F8P3F8G. *A Fair to Remember (Welcome To Redemption Book 2) by Stacey Joy Netzel. Price: Free. Genre: Contemporary Romance, Single Authors, Romantic Comedy. Rated: 4 stars on 133 Reviews. 178 pages. ASIN: B0058TTUFO. *Bad Blood by Shey Stahl. Price: Free. Genre: Contemporary Romance, Military, Romantic Suspense. Rated: 4.7 stars on 32 Reviews. 260 pages. ASIN: B01AXOM1F4. ***Deep Blue (Blue Series Book 1) by Jules Barnard. Price: Free. Genre: Adult Romance, Sponsor, Contemporary Romance, New Adult & College, Romantic Comedy. Rated: 4.2 stars on 201 Reviews. 320 pages. ASIN: B00IU69PTI. Reviewers love it: “Deep Blue” achieves something special! It is about having the courage to follow your dreams, even if those dreams seem a little crazy. The love story in this one is toe-curlingly good! Astounding! I am so glad I picked this book – it was worth it! If you like sweet romance with a happy ending, then I highly recommend this book! Loving Dr. Dan (Parma Medical Romance Book 4) by Anna Ramsay. Price: Free. Genre: Contemporary Romance, Inspirational, Romantic Comedy. Rated: 5 stars on 4 Reviews. 158 pages. ASIN: B00MIVC34K. **Ryker (Steele Brothers #1) by Cheryl Douglas. Price: Free. Genre: Adult Romance, Sponsor, USA Today Bestselling Author, Contemporary Romance. Rated: 4.6 stars on 69 Reviews. 268 pages. ASIN: B014GAK1R6. USA Today Bestselling Author Cheryl Douglas. Reviewers love it: WOW! This book was amazing and had something I have been searching for and was not able to find! From the first tentative chapter to the emotive and magical ending, I devoured every page! This was so far up my street we could have been neighbors! One of the most realistic stories that I have read in a while! 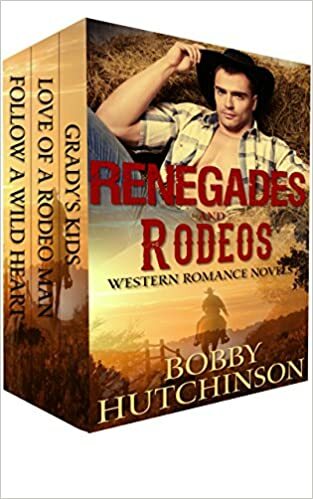 *RENEGADES AND RODEOS: Western Romance Novels (Deal, Not Free) by Bobby Hutchinson. Price: $0.99. Genre: Adult Western Romance Box Set Deal, Sponsor, Western, Collections & Anthologies. Rated: 4.4 stars on 37 Reviews. 523 pages. ASIN: B014YPTR3W. Reviewers love it: These are three delightful contemporary western romance novels about love, family and hard work. Refreshingly clean! I enjoyed all the three books in this bundle! Heartwarming love stories that are not to be missed! Surprisingly great! Just sit back and enjoy them! *Courting Trouble (Reality Romance Book 5) by Lizzie Shane. Price: Free. Genre: Contemporary Romance. Rated: 4.7 stars on 26 Reviews. 255 pages. ASIN: B01APJML66. *Unspoken Bonds (Long Shot Series Book 2) by Michelle Grey. Price: Free. Genre: Romantic Suspense,Contemporary, Suspense. Rated: 4.6 stars on 25 Reviews. 304 pages. ASIN: B00FBY3BOW. *What Happened In Between by LJ Scar. Price: Free. Genre: Romance, Action & Adventure, Women’s Fiction, Contemporary Women, Contemporary. Rated: 4.7 stars on 17 Reviews. 378 pages. ASIN: B00EA00H1I. *Kissing Maggie Silver by Sheila Claydon. Price: Free. Genre: Romance, Women’s Fiction, Contemporary Women, Contemporary. Rated: 5 stars on 5 Reviews. 166 pages. ASIN: B00CS8BO6Q. Next Door Dreams by J.D. Holly. Price: Free. Genre: Contemporary Romantic Comedy, Romantic Suspense, Suspense. Rated: 4.2 stars on 14 Reviews. 211 pages. ASIN: B00KWS99NY. ***The Darkest of Shadows by Lisse Smith. Price: Free. Genre: Contemporary Romance. Rated: 4.3 stars on 98 Reviews. 380 pages. ASIN: B00AZ0XZ48. *One Step Away (A Bedford Falls Novel Book 1) (Deal, Not Free) by Sydney Bristow. Price: $0.99. Genre: Contemporary Romance Deal, Sponsor, Humor & Satire, Romantic Comedy. Rated: 4 stars on 17 Reviews. 220 pages. ASIN: B00SHZY34Y. Reviewers like it: This book was absolutely fantastic! So sweet! It taught me that it is fine to let go of nagging feelings and listen to your heart instead. Such a wonderful love story! I would highly recommend it! ***Pepped Up (Pepper Jones Book 1) by Ali Dean. Price: Free. Genre: Adult Romance, Sponsor, Sports Romance, Coming of Age, Contemporary Romance, Love & Romance, New Adult & College. Rated: 4.4 stars on 136 Reviews. 211 pages. ASIN: B00ES4N3ZI. Reviewers love it: This book was clearly written by a very talented author! It stands out because it’s so different! The coolness of some characters was off the charts! I enjoyed the light read and the added athletic element! Sweet and fun! One of the best romances I have read in a while! *In That Moment by Margot Sloan. Price: Free. Genre: Contemporary Romance, Suspense. Rated: 4.8 stars on 22 Reviews. 563 pages. ASIN: B00CKLSG0I. Never Think by Vara Schuler. Price: Free. Genre: Contemporary Romance. Rated: 4.2 stars on 13 Reviews. 342 pages. ASIN: B00DNL5YEU. 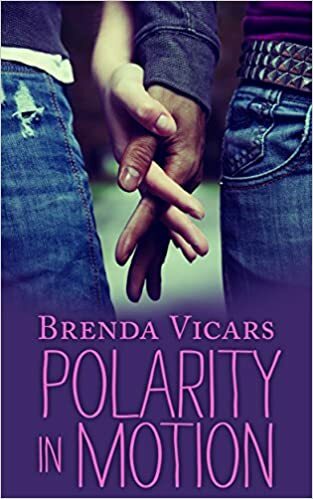 ***Polarity in Motion (Deal, Not Free) by Brenda Vicars. Price: $0.99. Genre: Contemporary Romance Deal of the Day, Sponsor. Rated: 4.6 stars on 149 Reviews. 261 pages. ASIN: B00OEJ9BX0. Reviewers love it: I don’t know where to start with this book – it absolutely blew away all my expectations! So refreshing! It gives a unique glimpse into what it means to be a teenager caught in an unfavorable situation. Hands down, this is now my favorite book! Beautifully written! Unique, empowering, fascinating and powerful! It was awesome! *Trouble by Ann Christopher. Price: Free. Genre: Contemporary Romance, United States. Rated: 4.8 stars on 20 Reviews. 384 pages. ASIN: B014JPJ9R6. ***Phantom (Dark Musicals series Book 1) by Laura DeLuca. Price: Free. Genre: Contemporary Romance. Rated: 4.6 stars on 93 Reviews. 270 pages. ASIN: B007Q3W7XC. *Bent Not Broken by Julia Goda. Price: Free. Genre: Contemporary Romance, Romantic Suspense, Women’s Fiction. Rated: 4.4 stars on 42 Reviews. 307 pages. ASIN: B00VKQEJU0. *Tanked by Cheri Lewis. Price: Free. Genre: Romantic Suspense, Contemporary, Romantic Comedy. Rated: 5 stars on 11 Reviews. 380 pages. ASIN: B00OD9UHH0. The Billionaire’s Accidental Bride by Kimmy Love. Price: Free. Genre: Contemporary Romance, Military, Romantic Comedy. Rated: 4.1 stars on 49 Reviews. 400 pages. ASIN: B019BT7TEK. Razzmatazz by Patricia Burroughs. Price: Free. Genre: Romantic Comedy, Humorous, Contemporary. Rated: 4.1 stars on 13 Reviews. 192 pages. ASIN: B00HCQLZTA. ***Polarity in Motion (Deal, Not Free) by Brenda Vicars. Price: $0.99. Genre: Contemporary Romance Deal, Sponsor, Romance. Rated: 4.6 stars on 149 Reviews. 261 pages. ASIN: B00OEJ9BX0. Reviewers love it: I don’t know where to start with this book – it absolutely blew away all my expectations! So refreshing! It gives a unique glimpse into what it means to be a teenager caught in an unfavorable situation. Hands down, this is now my favorite book! Beautifully written! Unique, empowering, fascinating and powerful! It was awesome! *Until the Stars Fall From the Sky (A Hidden Beauty Novel Book 1) by Mary Crawford. Price: Free. Genre: Contemporary Romance, New Adult & College, Inspirational. Rated: 4.1 stars on 184 Reviews. 361 pages. ASIN: B00UPEUXBM. *Fated by Chance Series: Landry by Vivian Lee. Price: Free. Genre: Contemporary, Sponsor, Romance. Rated: 5 stars on 1 Reviews. 374 pages. Rated: 5 stars on 1 Reviews. ASIN: B01CTRN6AW. Landry falls off her horse and suffers memory loss. As she recovers, she desperately tries to rebuild her relationship with her fiancee, Kiam. Do they have what it takes for their relationship to last forever? *Escape for the Summer by Ruth Saberton. Price: Free. Genre: Contemporary Romance, Holidays. Rated: 4.7 stars on 32 Reviews. 528 pages. ASIN: B00JLZ5J7E. *Unlucky In Love by Carmen DeSousa. Price: Free. Genre: Contemporary Romance, Women’s Fiction. Rated: 5 stars on 7 Reviews. 112 pages. ASIN: B01CK2PPNW. *Nose Job (A Scrimshaw Doll Tale) by Kathy L Wheeler. Price: Free. Genre: Romance, Sponsor, Romantic Comedy, Contemporary. Rated: 5 stars on 1 Reviews. 64 pages. ASIN: B015YV1FQM. Luke Reiser has every intention of marrying Malia Kane. A difficult feat when she refuses to even acknowledge his attraction for her. Malia is bankrupt, and has all her hopes on the upcoming art show. Will a mysterious ancient doll help them, or will it ruin everything for these two? ***Fighting Silence (On The Ropes Book 1) by Aly Martinez. Price: Free. Genre: Contemporary Romance, New Adult & College, Sports. Rated: 4.8 stars on 483 Reviews. 272 pages. ASIN: B00TPY1TBQ. Hunter by Cordelia Blanc. Price: Free. Genre: Contemporary Romance, Holidays, Military, New Adult & College. Rated: 4.2 stars on 74 Reviews. 282 pages. ASIN: B019JJR8UC. Cherished Love (Cherish Cowboys Book 1) by Charlene Bright. Price: Free. Genre: Westerns, Contemporary, Western. Rated: 4 stars on 6 Reviews. 138 pages. ASIN: B015M2QMMK. *My Heart’s Desire – Part 1 (Bad Boy Romantic Suspense) by Helen Grey. Price: Free. Genre: Adult Romance, Sponsor, Romance, Action & Adventure, Humor, Contemporary Women, Contemporary, New Adult & College, Romantic Comedy. Rated: 4.9 stars on 19 Reviews. 74 pages. ASIN: B019OGWG6Q. Reviewers love it: WOW! I have always enjoyed Helen Grey’s stories, and this one was no different! The moment I started reading it, I was sucked in! Amazing! Give me more! Please Note: Cliffhanger ending, with the rest of the series free on Kindle Unlimited. *Weeping Angels by Cristy Rey. Price: Free. Genre: Contemporary Romance, Contemporary Women, Women’s Fiction. Rated: 4.5 stars on 22 Reviews. 208 pages. ASIN: B00LCN233G. Colver House by Angelica Kate. Price: Free. Genre: Contemporary Romance, Inspirational. Rated: 4 stars on 5 Reviews. 170 pages. ASIN: B00OZTZEE4. *Pieces of You: The Betrayed Trilogy, Book 1 by Mary Campisi. Price: Free. Genre: Contemporary Romance, Women’s Fiction, Sagas. Rated: 4.5 stars on 19 Reviews. 181 pages. ASIN: B0057OCK1G. *One Night with a Bad Boy: (A Redemption Story) (Deal, Not Free) by Ella Slade. Price: $0.99. Genre: Adult Romance Deal, Sponsor, Crime Thriller, Psychological Thriller, Action & Adventure, Contemporary Women, Romantic Comedy, Romantic Suspense, Women’s Fiction, New Adult & College. Rated: 4.7 stars on 17 Reviews. 359 pages. ASIN: B01B8P1MT8. Reviewers like it: Compelling! This is a well written and fast paced romantic thriller which is not a cookie cutter version of some other book or movie. Ella Slade can spin a story that you never want to put down! Great read! ***Prejudice Meets Pride (Meet Your Match) by Rachael Anderson. Price: Free. Genre: Romantic Comedy, Women’s Fiction, Contemporary. Rated: 4.5 stars on 221 Reviews. 247 pages. ASIN: B00JW6ZW6U. **Irreparable (Wounded Souls Book 1) by Amanda Lanclos. Price: Free. Genre: Contemporary Romance, Military. Rated: 4.6 stars on 54 Reviews. 215 pages. ASIN: B00K3SZM98. *FU Cancer by Hilaria Alexander. Price: Free. Genre: Contemporary Romance, Romantic Comedy. Rated: 4.8 stars on 36 Reviews. 376 pages. ASIN: B019Y6QA1I. *SEAL It With A Kiss by Rogenna Brewer. Price: Free. Genre: Contemporary Romance, Military. Rated: 4.9 stars on 24 Reviews. 260 pages. ASIN: B0194EZOL2.